Another version by Owen Daly of the 1697 Carlo Grimaldi instrument in the Nurnberg collection. 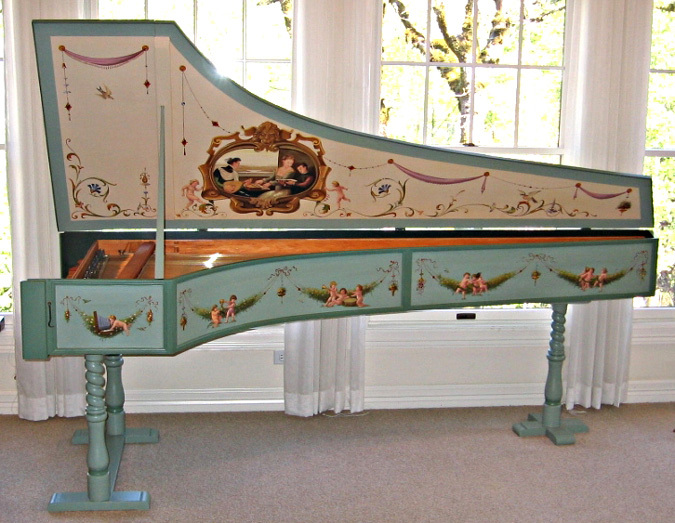 For this Italian harpsichord the owner requested some traditional Italian-style ornament, which had to include putti, or cherubs. We decided to keep the inside of the lid fairly simple with a musical scene in a cartouche in the center and more ornament to fill out the rest of the space.